Avocado trees can either grow tall and erect, up to 60 feet in height, or low and sprawling. Many different cultivars of the tree exist, but all grow in tropical or near tropical regions of the United States and other parts of the world. Propagation can occur through planting seeds, planting cuttings, layering and grafting. If you already have an avocado tree, rooting cuttings may be the most convenient and cost effective means of creating another avocado tree. Take a cutting from an existing tree in early spring. Look for a new, light green shoot off the end of a stem with leaves that are not quite fully opened. Estimate 3 inches from the tip of the stem and make a diagonal cut. Strip the leaves off the bottom 1/3 of the stem. Scrape two opposite 1/4- to 1/2-inch strips of skin off the base of the stem. This is called wounding and may increase the chances of rooting. Dip the base of the stem into an indole-butyric acid (IBA) rooting hormone to further increase your chances. Fill a small pot with a mix of half peat and half perlite. Stick the bottom 1/3 of the cutting into the rooting medium and tamp down around the base of the stem to keep the cutting upright. Water the cutting. Place a plastic bag loosely over the pot to increase humidity. The best method for rooting avocado cuttings is intermittent mist, but not all people have the time or technology for this method. The plastic bag replaces the need for mist. Monitor the plant. Keep it moist, but not soaking wet. The avocado cutting may take up to six months to root and start growing on its own. Repot the cutting into a larger pot with the same rooting medium once it starts growing on its own. After the last frost date in the spring following new growth, transplant the rooted avocado outside. Choose an area with well-drained soil and full sun. Avocados tolerate virtually any type of soil as long as it is well-drained. Take multiple avocado cuttings and follow these steps to increase your chances of rooting at least one tree. 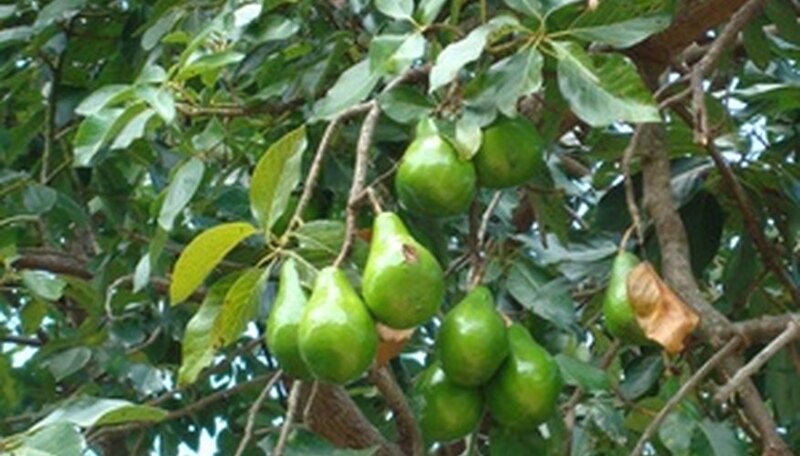 The Mexican avocados root more easily and more quickly than some other cultivars, while the West Indian avocado cuttings are slower and less likely to root. Florida Agricultural Experiment Stations Journal Series No. 1989.